The Helmholtz research field Matter explores the constituent parts of matter and the forces acting between them over completely different orders of magnitude, from the smallest units, elementary particles, to the largest structures in the universe. 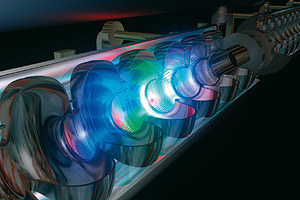 Seven Helmholtz centres work together on research into the matter: the Deutsches Elektronen-Synchrotron DESY, the Forschungszentrum Jülich, the GSI Helmholtz Centre for Heavy Ion Research, the Helmholtz-Zentrum Berlin für Materialien und Energie, the Helmholtz-Zentrum Dresden- Rossendorf (HZDR), the Helmholtz-Zentrum Geesthacht Centre for Materials and Coastal Research, and the Karlsruhe Institute of Technology (KIT). 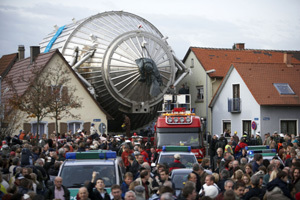 The Helmholtz Institute Jena and Mainz also take part. The characteristics of the smallest subatomic particles and the forces between them determine the properties of all matter and of the universe. Fundamental insights regarding the structure of matter are being obtained using the methods of nuclear and elementary particle physics and combining them with the observations and measurements of astroparticle physics at the intersections of nuclear physics and particle physics, astronomy, astrophysics and cosmology. 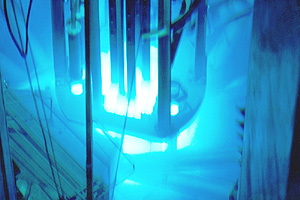 In the programme “From Matter to Materials and Life” (MML), previously known as “Forschung mit Photonen, Neutronen und Ionen“ (PNI), research scientists are using the scientific large-scale facilities and large research infrastructures to investigate the structure, dynamics and function of matter and materials, which are not otherwise accessible with conventional laboratory equipment.